Soup was made for Sundays. You can start a pot in the morning and keep it warm to enjoy throughout the day, or just warm it up later for an evening meal. Today the #SundaySupper group of bloggers will share their favorite soup recipes to help chase away the winter chills. I decided to make Chicken Cheese Soup, even though it contains an ingredient that I usually avoid using in dishes...Velveeta. Okay, I know I’m a bit of a food snob about some things. I buy expensive coffee and will only use real maple syrup that is made from the sap of a sugar maple tree. I make cakes from scratch instead of mixes and I make my own spaghetti sauce. Yep, I’m picky about the ingredients I use. Is Velveeta really cheese? To be honest, I don’t know why I feel this way about it since I ate it a lot when I was a child. My mom had a Tupperware container that held the two-pound block size and my dad and I were notorious for sneaking into the fridge and cutting off a hunk for a snack. Mom called us her resident mice. Plus, there is no arguing with results. Everyone loves this soup! I got the recipe from Mom in 1994. My stepkids from my first marriage begged for this soup while they were growing up and still make it today for their own families. Their friends even ask for the recipe! So bring on the Velveeta! I thought about trying a different cheese, but why tamper with success! Place chicken into a soup pot and cover with cold water. Bring to a boil and cook for 15 minutes. Remove the chicken and set aside to cool. Measure the cooking broth and add low-sodium chicken broth and/or water to make 12 cups. Bring the broth to a boil. Add the taco sauce, onion, carrots, celery, and bouillon cubes. Cook for 5 minutes. Add the rice, turn the temperature to a simmer, and cook until the rice is soft, 15 to 20 minutes. As the rice cooks, cut the chicken into bite-sized pieces. When the rice is soft, add the chicken to the pot, and then add the Velveeta to the soup, cube by cube, stirring until the cheese melts. Add salt and pepper, to taste. 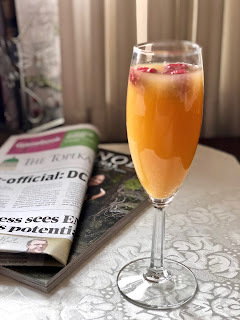 Be sure to join in on the #SundaySupper chat on Twitter today at 7 pm ET. 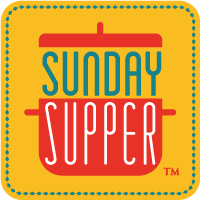 Follow the #SundaySupper hash tag and remember to include it in your tweets to join in the chat. There's no need to apologize for using great ingredients, however if Velveeta if it makes the soup better, why not? I love that you added Velveeta!! What a great use for it! I would never of thought of putting it in soup!! Yum! Oh my gosh...this seems so easy and delicious! Can't wait to make it! Sometimes you've just got to have a little Velveeta! Your soup sounds great and is a soup I know my family would love! We had velveeta in the fridge all the time growing up too. It is a snowy Sunday here, perfect for soup! I never thought about adding cheese to chicken soup, but it makes total sense. Apparently, I've been missing out. Your soup looks amazing. Velveeta Mac and cheese is my favorite. I will have to try this soup version. Stay warm! Exactly what you said, why mess with success! If you like it, then it's gotta be good. Right?! Oh. My. Gosh. This looks amazing!!!!! I think I will pick up some Velveeta today just for this! I've never heard of using taco sauce instead of salsa! This sounds reallyt asty. Who knows what Velveeta is .. probably only the scientists that created it. I do know that it makes the best macaroni and cheese I've ever eaten. This soup looks good Linda. I have to agree - soups are a perfect Sunday Supper! If it looks like cheese, melts like cheese and tastes like cheese, it might be velveeta! I'm sure your soup turned out great! I cook from scratch, but if I'm making one of my mom's recipes I use what she used. Even if it's from a can. You can't be perfect all the time. The cheese eaters in the family refuse to eat Velveeta since we found it in the non-refrig section of the store...:-S, but I'm all for ingredients that work! I personally love Velveeta! I also love all soups that have cheese, so this is a winner! I'm not sure if Velveeta is really a cheese or what. I've eaten plenty of it though in the classic Velveeta + Rotel dip. I haven't had it in years though. Linda has been making this amazing soup for me since I was a child. It's the best soup I've ever had. Now I share its with my family. Jared and Madison love it almost as much as I do! Ah, thanks Leanne! I'm glad we are passing along the recipe to the next generation! Hey everyone has at least one processed food weakness. Personally I don't like the taste of Velveeta but I have some Applewood smoked cheddar that I bet would be fantastic in this. oh my... looks amazing and what's there not to love about chicken and cheese? Dear Linda, I too make my own sauce, soup, cakes and now even breads. It is healthier and quite honestly less costly. Though, I too sometimes give in. It is true Velveeta is great for melting. I bet this soup is just so good! !